Our work as ethnographers, as social scientists, is rich, experiential, relational, multi-dimensional and full-sensory. As often as we can, we immerse ourselves in communities and in landscapes and then—we heighten all our senses, turn down our ego and try to understand the context. Nothing is as important as context. 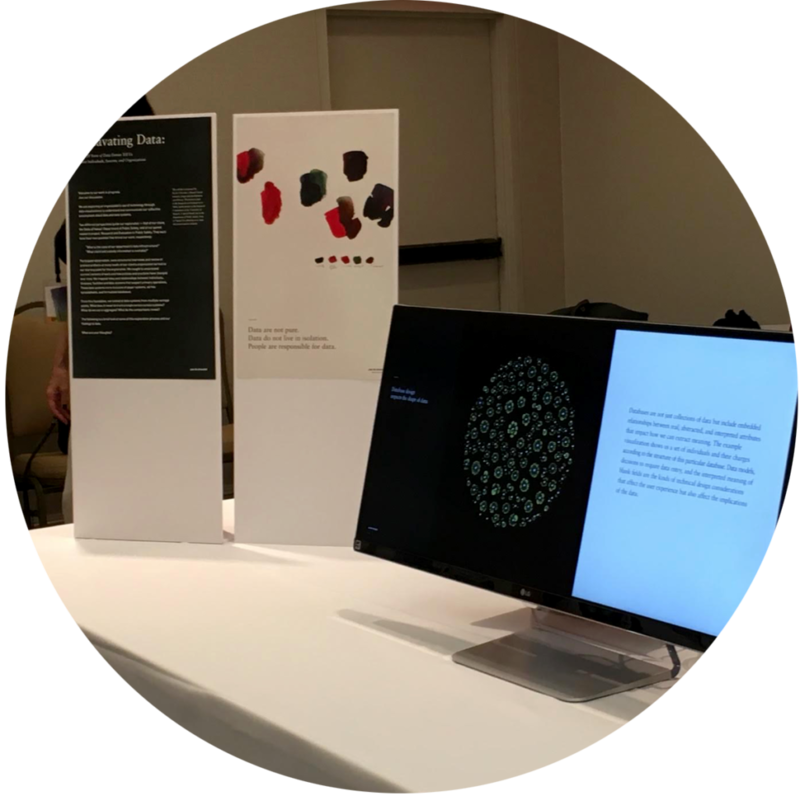 We document and analyze these contexts and the individuals and objects within them, refining them for a new context of service design or product development that is itself a whole new ecosystem of relationships, ethics, finances, goals, timescapes. Businesses and organizations have distinct customs, rituals, and standards for creating "evidence-that-counts." 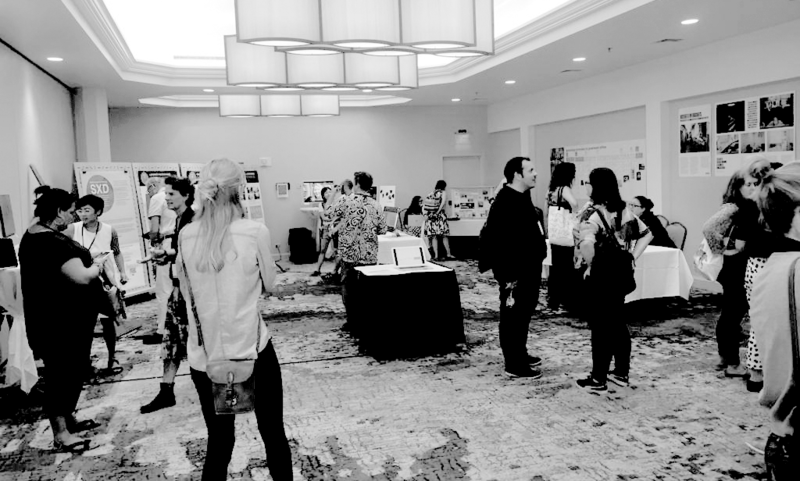 EPIC2019 is preparing a space for you to be experimental, even perhaps a bit uncomfortable, with how you present the work you’ve done or the work you’d like to do. Are you working with novel prototypes, materials, or research experiences? Is there something meaningful you’ve had to leave on the cutting room floor? Were there experiences documented that continue to delight or trouble? Extract a sound, recreate a lightscape, play with movement and the agency of hidden actors in your work. Invite interaction and interpretation. Be as low-def or as high-def as you want to be. This is a hearty invitation to craft a gallery installation that interacts with our community. The EPIC Gallery debuted in Hawai'i at EPIC2018. Program Co-chairs Dawn Nafus and Tye Rattenbury presciently and confidently held space for the unconventional, inquisitive, brave, honest, irreverent, relational, artful, and unformed. An exciting group of new and longstanding EPIC members stepped creatively forward. The 2018 theme Evidence meant being pulled by an undeniably strong current towards data—domesticated, industrialized, monetized. Data that was both fictional and concrete. This current was fed by artists and data designers like Giorgia Lupi and Stephanie Posavec whose transcontinental installation (now book) Dear Data democratized data analysis and validated the ordinary, everyday data sets we each produce. 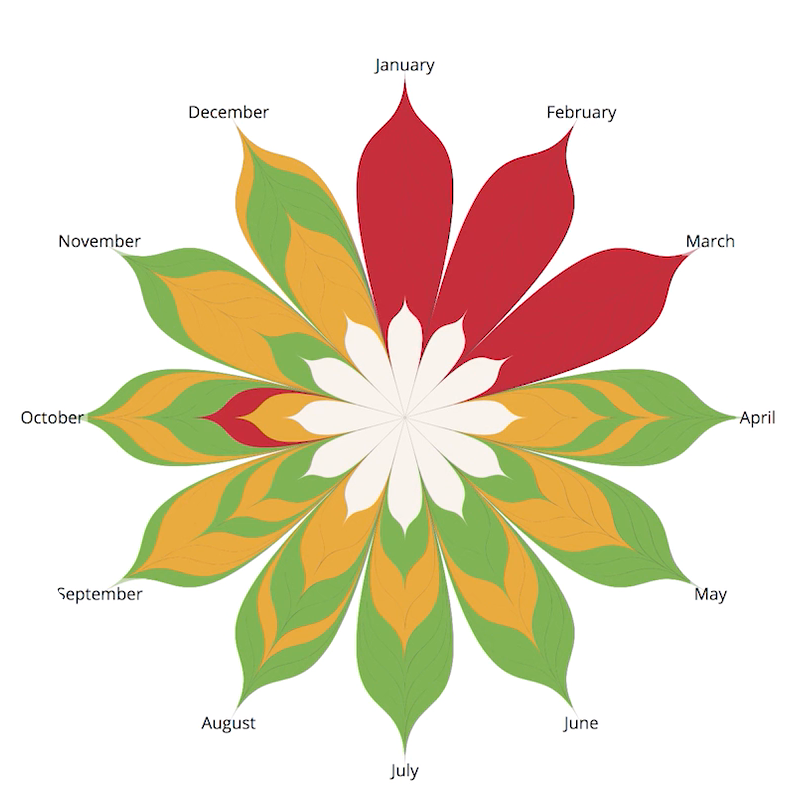 “We chose evidence as the EPIC2018 theme in part,” Dawn explains, “to explore this question of why some things constitute evidence and not others. How is evidence changing? Language is hard and messy. 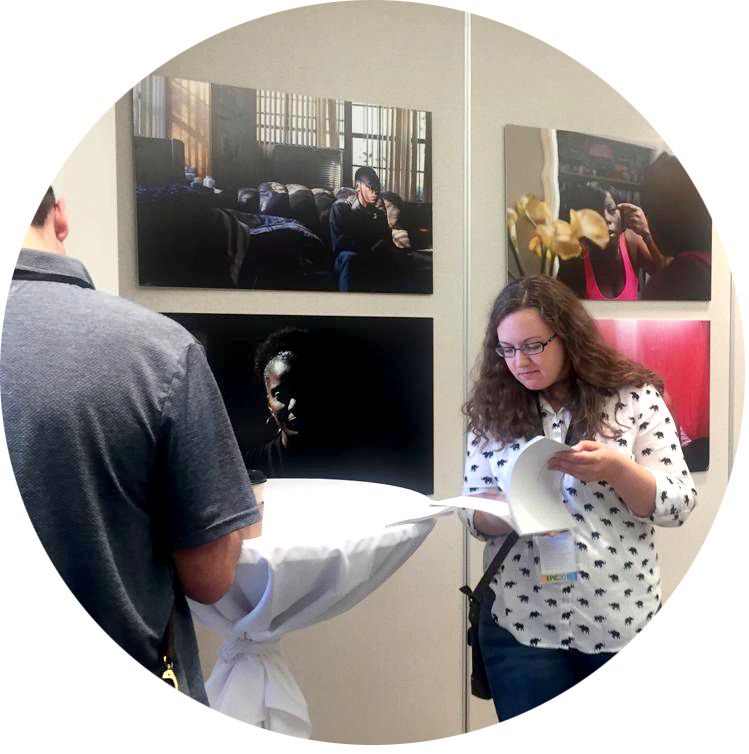 We have a methodological advantage over desk researchers—we’ve got really good contextual knowledge.” EPIC2018 Gallery participants stepped through hard and messy language with color, light, sound and texture as tools, to present their valuable contextual knowledge. 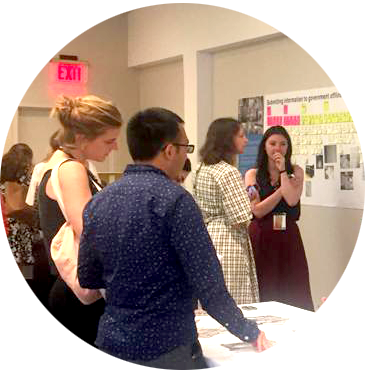 Papers and PechaKucha are one-to-many and the Gallery is one-to-one. It allows for a more contemplative experience and interaction between the audience and the piece. The form is not fixed so both the creator and the audience can bend how they want to receive and internalize the input. Gallery exhibits allow for nuance and some ambiguity. They don’t carry as much burden to be “right”, nor are they time-bound. They are more sensorial since they are tactile. This year’s theme, Agency, invites even more play. EPIC members’ research is largely business focused—from tech to health care to consumer goods—but also spans public service and nonprofit work. Each year we gather, ethnographic birds of a feather but diverse in background and position, to fortify each other. We can respectfully retreat from the daily demands of our organizations and markets to swim around the waters a bit. In this way, our community bends with agility, grace, humor and courage. In many ways, the gallery is an ideal site. This year all EPIC Gallery installations will be featured in RISD’s ISB Gallery—a global destination for curators and design houses seeking emerging talent from the legendary college. ISB is also a coveted local gallery for contemporary professional artists. The risd:store 3D on Main Street is just one of a dozen art supply stores in Providence from which you can receive technical installation support and source materials on-site for refinement. We look forward to you filling RISD’s ISB Gallery with interpretations of the EPIC2019 theme Agency. Agency takes many forms, but clearly all of them involve a unique voice. We’re looking for yours. Dancing with Data and the Choreography of Evidence aimed to viscerally pull the viewer into the tension between knowledge and meaning, what is observed and what is measured, algorithm and human. 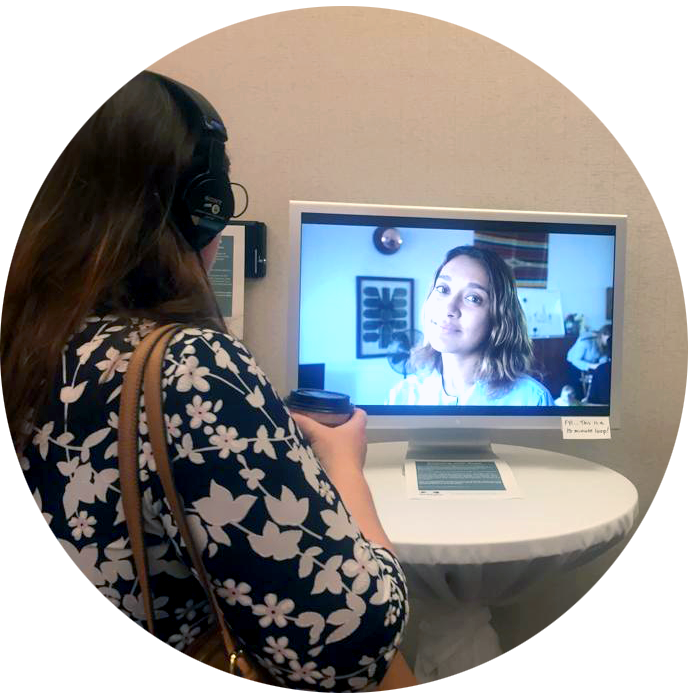 Using a combination of video/photographic portraits of people juxtaposed with audio voiceover of ‘hard data narrative’, viewers confronted both dissonance and harmony between what they see and what they hear. Occupational Humor Wall was an interactive meditation on humor as a special class of user data. 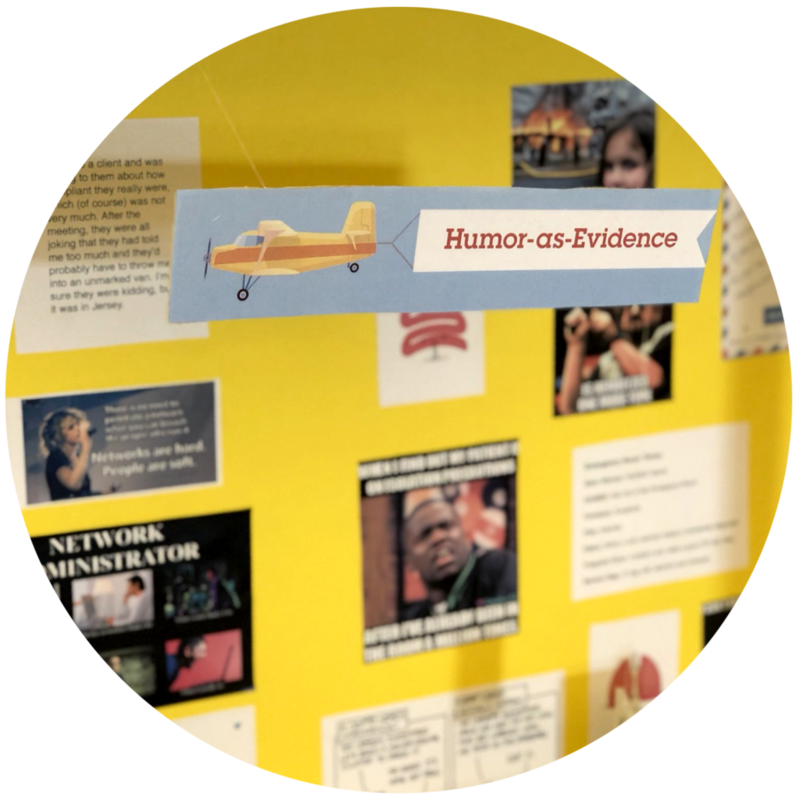 Populated with jokes, memes, anecdotes, comics, etc., from prior design research, the installation had a section for viewers to add examples of occupational humor from their own areas of study or expertise. Making Time Tangible: Life in a Minute was concerned with the social implications of technology and aimed to make time tangible—probing people to think critically about the value of time and to reveal underlying attitudes. 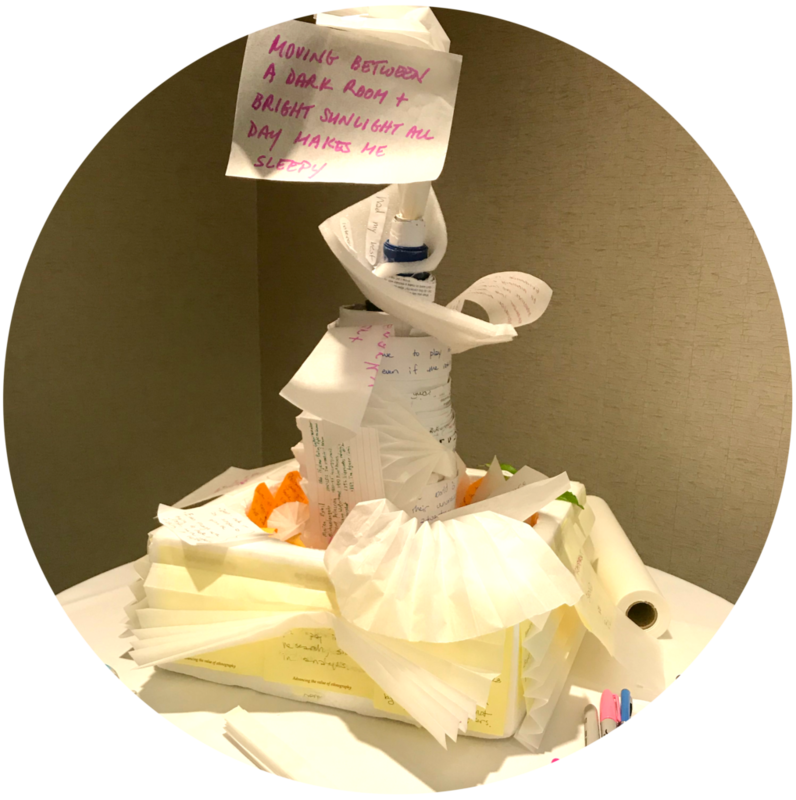 The piece facilitated playful, tangible interactions to encourage people to reconsider their personal time allocation for career, community, education, family and play. Meet Me where I Want to Be provided visual evidence for the needs, challenges, opportunities, and aspirations of people diagnosed with HIV. The photographer worked with the research participants to capture their daily lives, inviting the participants to shape the photoshoots to present themselves as they wanted to be seen. They challenged the typical depiction of “patients” as seen through the perspective of the healthcare system—as either tragic victims or triumphant survivors. 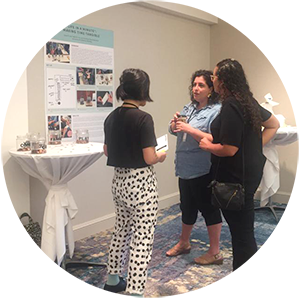 Spatial Experience Design (SXD) presented experiential prototyping that applied ethnographic research and strategy approaches from UX to the design of physical environments. 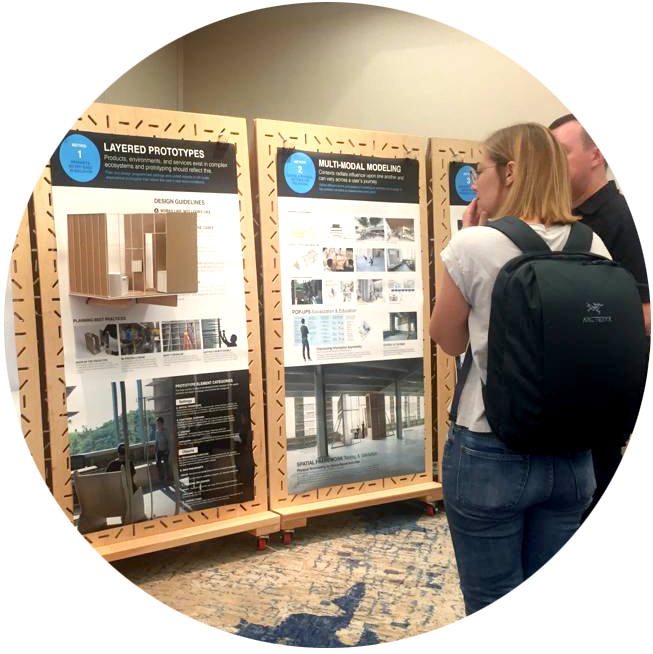 Spatial Experience Design (SXD) was presented as a holistic approach to plan, design, prototype, and test “layered spaces” where digital and physical settings interact with one another. Data Sense was an online software prototype designed to facilitate situated exploration of datasets that ordinary people might encounter in their daily lives, such as data from fitness tracking devices or environmental monitors. The goal was to enable people with a broader set of backgrounds to re-situate and contest claims about data. 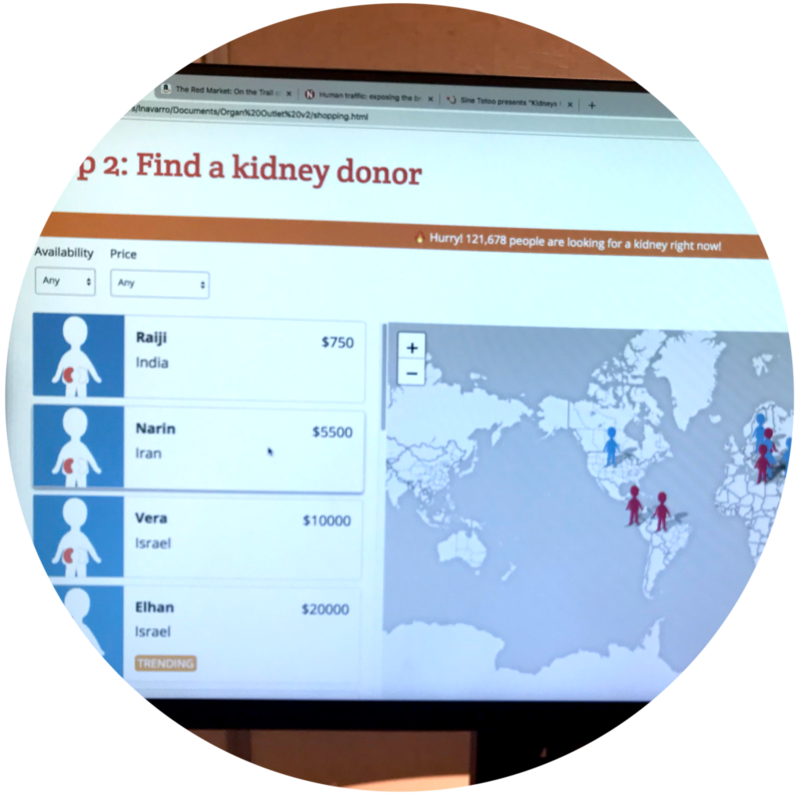 Organ Outlet: A Speculative Kidney Shopping Experience was a speculative data visualization platform that critiqued the global organ trade. Based on ethnographic text and journalistic pieces, it aggregated information on price points and stories of kidney sellers around the world, and places them within the narrative of a satirical, “user-friendly” e-commerce website. Nature Deficit Disorder Clinic was an invitation to observe, explore, reflect and sense how one might be personally, organizationally, and more broadly as a community or society, impacted by lack of routine contact with nature. The Red Room Project was a 360 VR video that followed the evolution of rap artist Shane Lassiter aka Shino Smoke from Sacramento to Oakland. 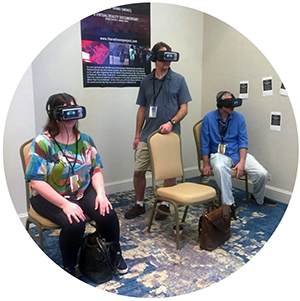 This VR story took viewers beyond his healing “Red Room,” in Sacramento to a saloon in downtown Oakland (at one of his shows) to the Fruitvale neighborhood of Oakland. Excavating Data: What 20 Years of Data Entries Can Tell Us about Individuals, Systems, and the Organization that Created Them was an exploration of an organization's use of technology through data visualizations to understand and communicate our collective assumptions about data and data systems. Looking at data systems from multiple vantage points, what does it mean to track a single person across systems? What do we see in aggregate? What do the comparisons reveal? Thicker explored the possibilities of repurposing and re-contextualizing evidence from past projects by asking EPIC members to make thick data, thicker. Does ethnographic evidence live and die with every beginning and ending of a project, or does past evidence seep into current projects? If we guard against past evidence from influencing our current work, are we inhibiting wisdom or preserving integrity? 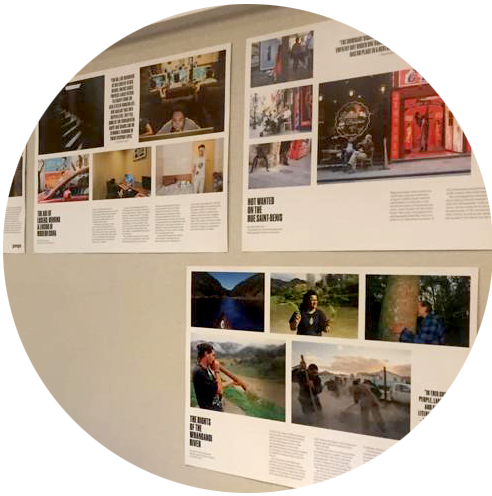 Insights on Insights: Photography as Commentary on Ethnographic Analysis combined photography and ethnographic writing to encourage community dialogue and demonstrate how pairing image and narrative produces richer material. 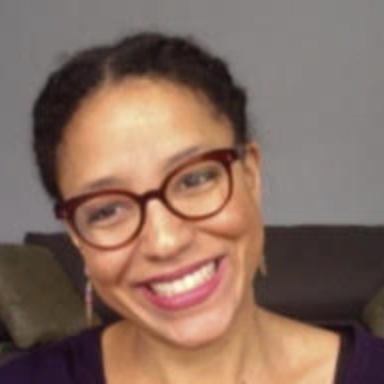 Trained as a cultural anthropologist, Makalé Faber Cullen has worked with Senegalese squid packers, British tide clock makers, Orthodox bra fitters, neon-light benders, farmers, and more, providing ethnographies for a range of conservation and education non-profits as well as for retail, manufacturing and design companies. 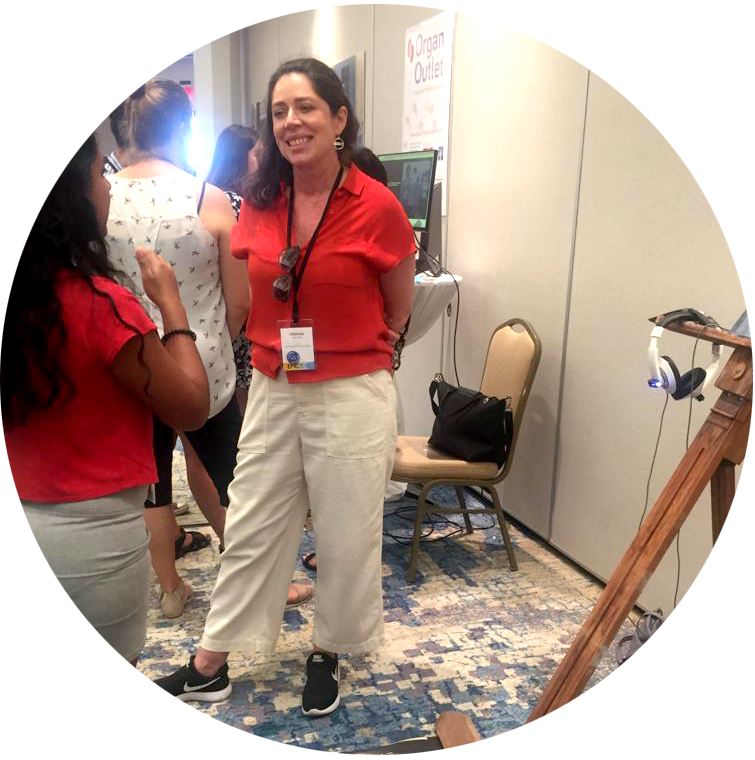 Her recent work includes building a new collection of audio portraits for the US Library of Congress on the changing culture of the 21st century American workforce and workplace. She lives in NYC with her husband and son and is emerging from a year and half of arboriculture training in preparation for upcoming ecological work. Thank you Makalé for this wonderful essay. An inspiration.